When you can't decide what color you like best, this multi colored Red, Blue, Yellow tunnel is the answer. 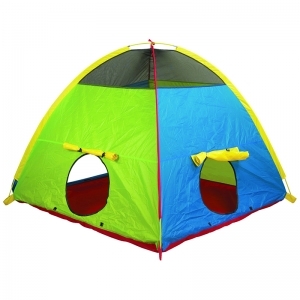 Sturdy spring steel construction makes for long lasting fun. 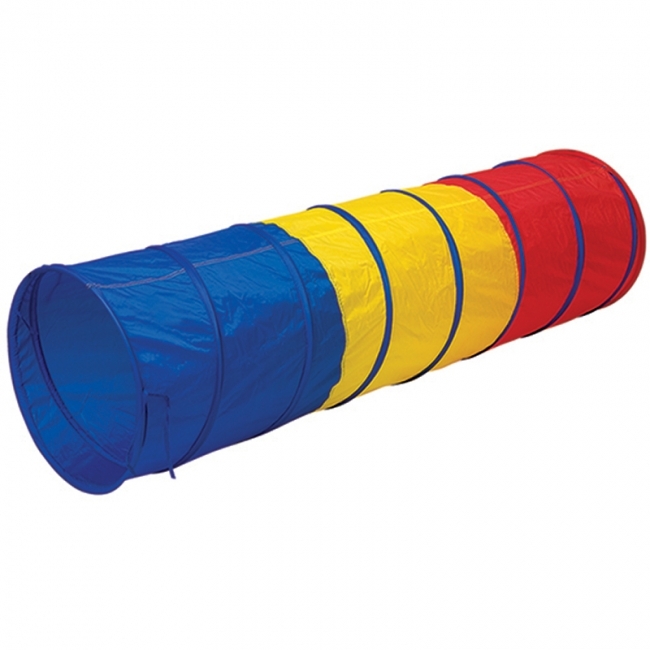 The Pacific Play Tents Find-Me Multi Color Tunnel is excellent fun for developing cooperative play, great for muscle development, and stimulates the imagination for creative playtime. 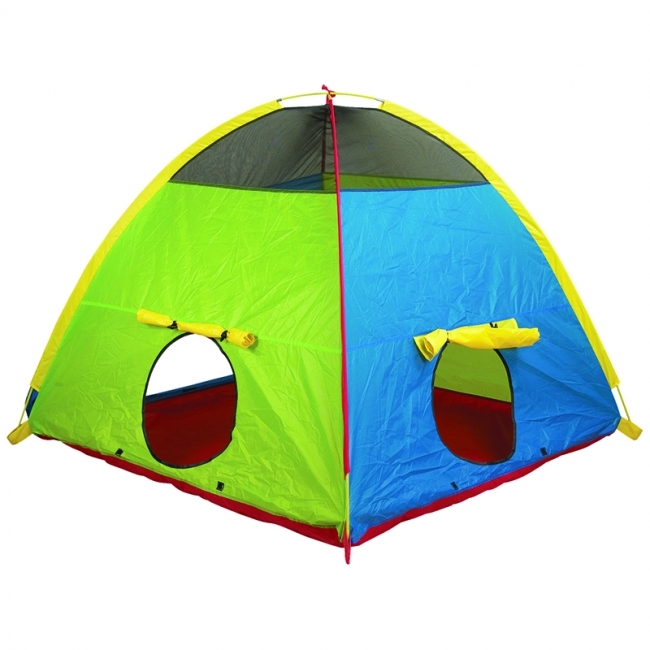 This innovative design incorporates our new "padded interior" system, for more comfortable playtime. Wipes clean with a damp cloth.